10 DIFFERENT SIZE RHOMBI IN A TESSELLATION. RHOMBI ARE MY FAVORITE GOEMETRIC SHAPES. 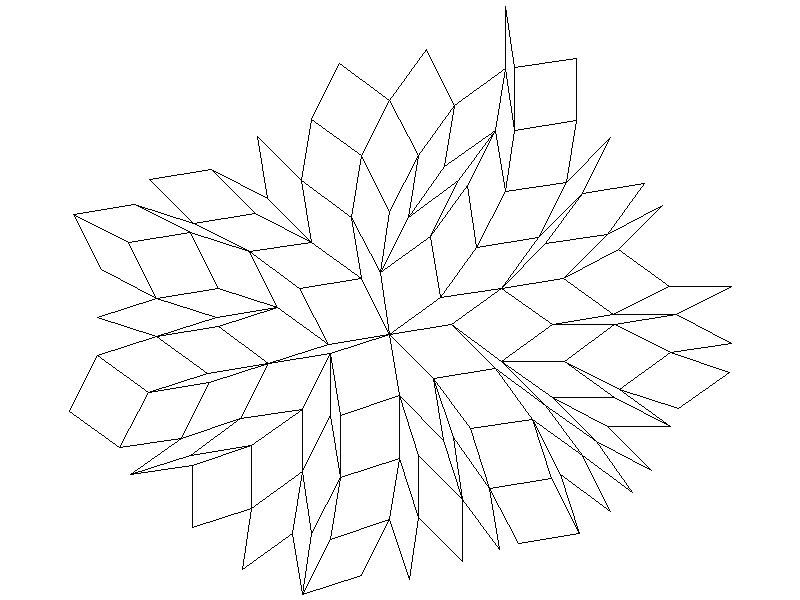 THIS TESSELLATION IS AN EXTENTION OF PENROSE'S TESSELLATION WITH 2 DIFFERENT SIZE RHOMBI. THE SAME SIZE RHOMBI ARE USED IN RANDOM PATTERS THAT DON'T REPEAT. 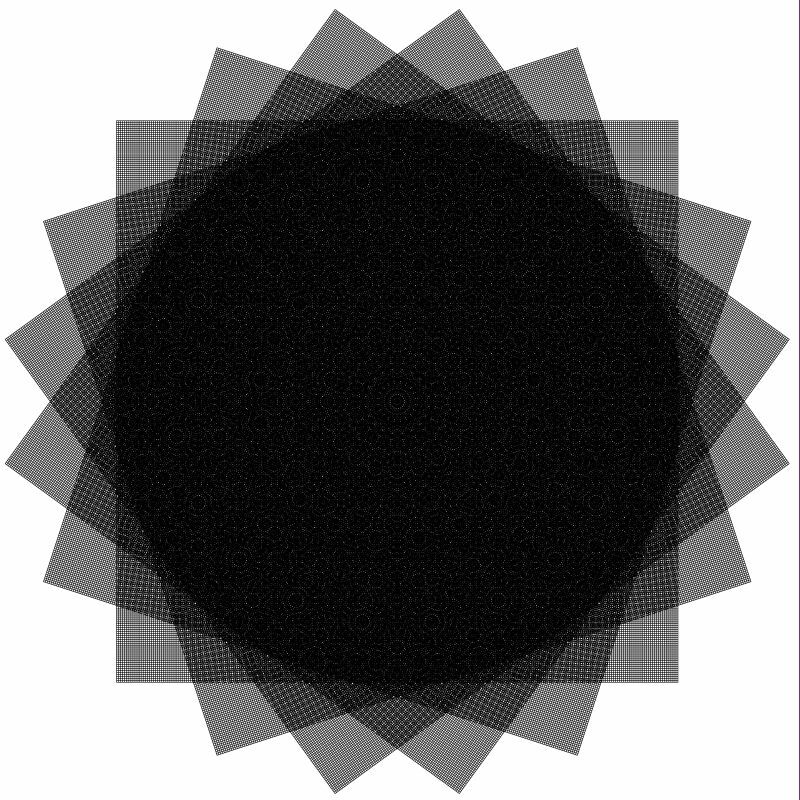 THIS IS A GRID OF 10 POSSIBLE ANGLES THAT A RHOMBI COULD HAVE. WITHIN THIS GRID THERE ARE THOUSANDS OF POSSIBLE RHOMBI. THIS IS A CLOSE UP OF THE PICTURE BEFORE IT. AS YOU CAN SEE, A BEAUTIFUL PATTERN STARTS TO EMERGE. THIS IS AN IMPOSSIBLE SHAPE MADE OF RHOMBI THAT PLAYS TRICKS WITH THE EYE. 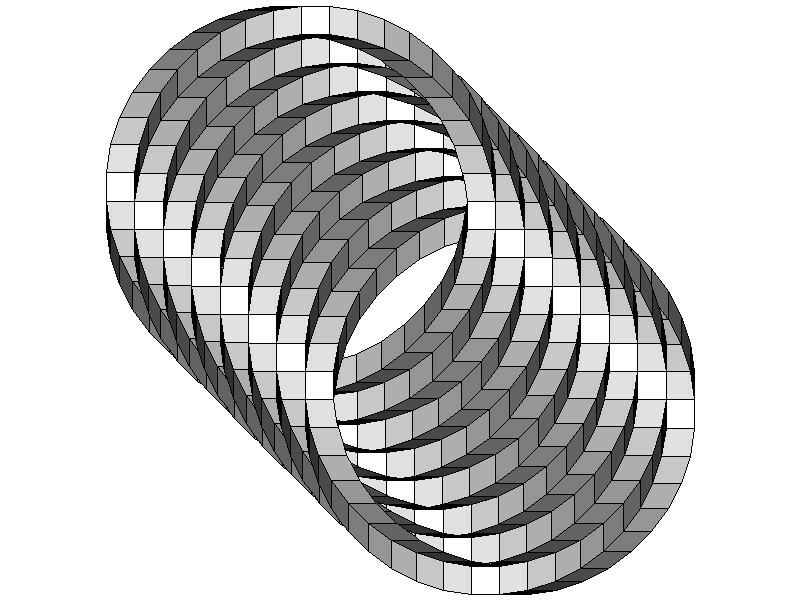 THIS IS A 2 DIMENSIONAL REPRESENTATION OF A CLOSED TORUS MADE OUT OF RHOMBI. 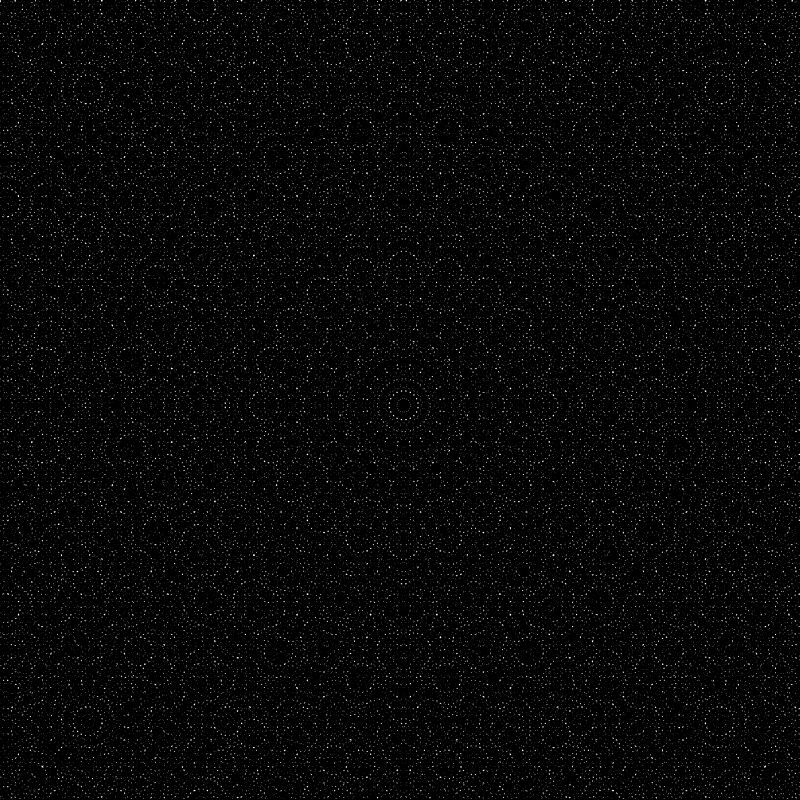 THERE ARE NO CURVED LINES IN THIS PICTURE. 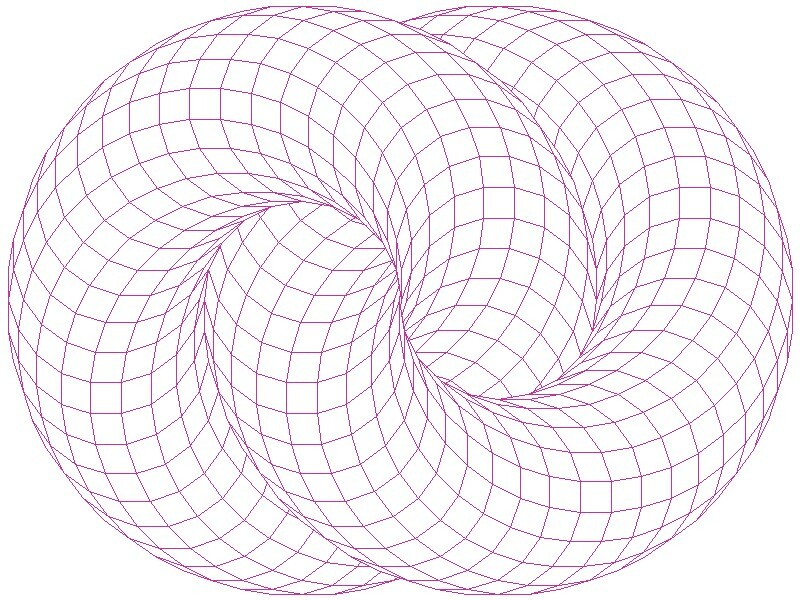 THIS PICTURE IS SIMILAR TO THE ONE BEFORE IT EXCEPT IT IS ONE CONTINUOUS TUBE IN THE SHAPE OF THE INFINITY SYMBOL. THIS IS AN IMPOSSIBLE SHAPE IN 3 DIMENSIONS. THE TORI CANNOT GO THROUGH EACH OTHER AND STILL BE FLAT.